2018 is now firmly behind us, but the lithium oversupply concerns and bearish narrative that emerged early in the year have far from abated. While most analysts have agreed that the lithium demand trend is getting stronger each day, barely a week has passed without some new up- or down-stream challenge emerging that could threaten the overall health of the market. As such, there continues to be a disconnect between the demand outlook and overall market sentiments – with the ever-promising indicators of a demand surge still not reflected in current prices. Downstream, a shift towards lithium hydroxide-intensive cathodes is making headway, with Benchmark Mineral Intelligence forecasting a need for 534,000 tonnes by 2028, to satisfy a large portion of the next batch of megafactory cathodes. So too is the clean energy technology movement and the viability of electric vehicles (Lithium’s most promising pathway to market), which should see more Australian manufacturers beginning to branch out in this space. Further upstream, however, a number of new players have entered the local supply chain, ramping up their production of direct-ship-ore (DSO) and spodumene – and making a big splash in what is essentially quite a small pond. North American supply is also set to enter the arena, perhaps quicker than the industry as a whole is ready for it (if at all). Ahead of Informa’s Lithium & Battery Metals Conference, as part of Minerals & Investment Week, Nell Agate Tsui, Principal Research Analyst at HIS Markit, said the continuing threat of market volatility is far from over. “The fact that both upstream and downstream sectors of the lithium value chain continue to undergo transformative changes; ultimately introduces several challenges that are not always reflected in regional prices. “This year the real debate may hinge on whether we will see the spectrum of lithium chemicals for both battery and industrial applications rationalise, and which proactive NEV policy measures matter the most. “I look forward to hearing from the wide range of producers at the Informa Conference to learn how they will turn challenges into opportunities”. The 2nd Annual Lithium & Battery Metals Conference – which forms part of the larger Minerals & Investment Week in Perth – will be taking a long and hard look at battery commodity markets, the inherent over and under supply issues and what to expect over the coming year. 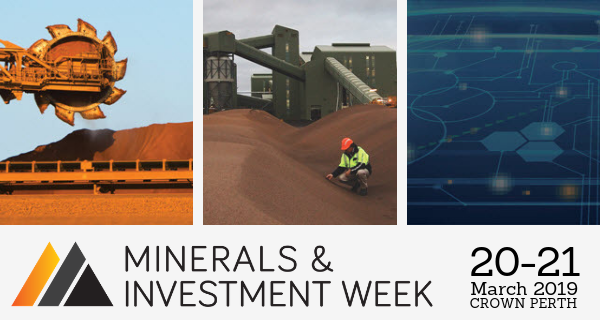 Nell will be joined on stage by expert speakers from across the entire resources industry at the Minerals & Investment Week on 20-21 March 2019 at Crown Perth. This year’s event features multiple conferences, including the 22nd Annual Global Iron Ore & Steel Forecast, 20th Annual Mineral Sands, and 2nd Annual Lithium & Battery Metals. You may download the full agendas here.